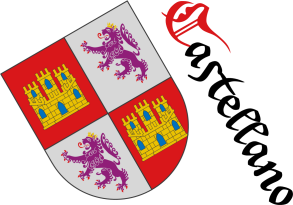 Vicente de Cadenas y Vicent, Dean King of Arms, «Diccionario heráldico: Términos, Piezas y Figuras Usadas en la Ciencia del Blasón», Instituto Salazar Castro (C. S. I. C. Higher Center for Scientific Research), edited by Ediciones Hidalguía, 6a edición aumentada en el vocabulario heráldico, 338 pages, Madrid, 2002. 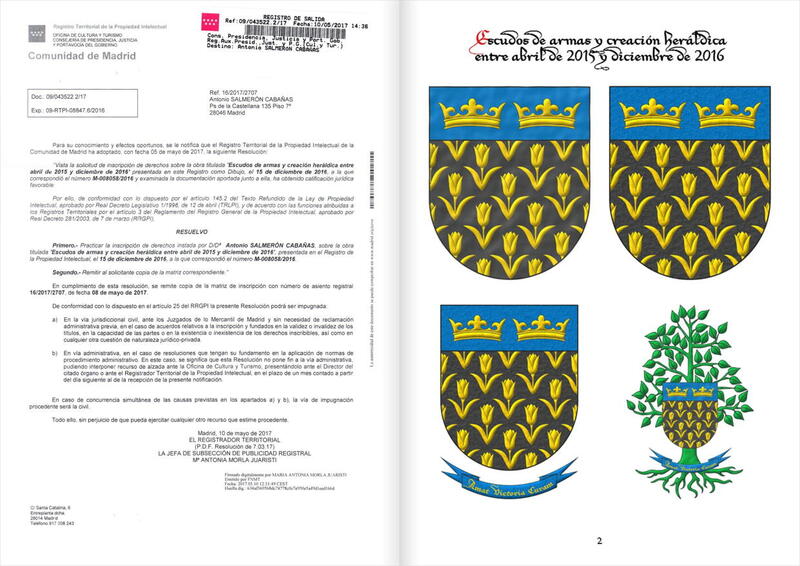 Claude-François Menestrier, member of the Society of Jesus, «Le veritable art du blason et la pratique des Armoiries depuis leur Institution», «Auec Privilege du Roy»~avec le privilège du roi, 10 pages of introduction, 415 pages of content, 14 pages of indexes and 339 pages in total, Chez Benoît Coral, ruë Merciere à la Victoire, Lyon, 1659. 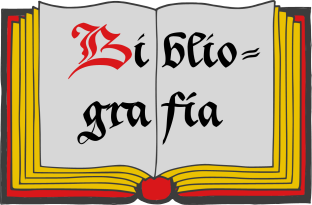 The author is Menestrier, Claude-François. 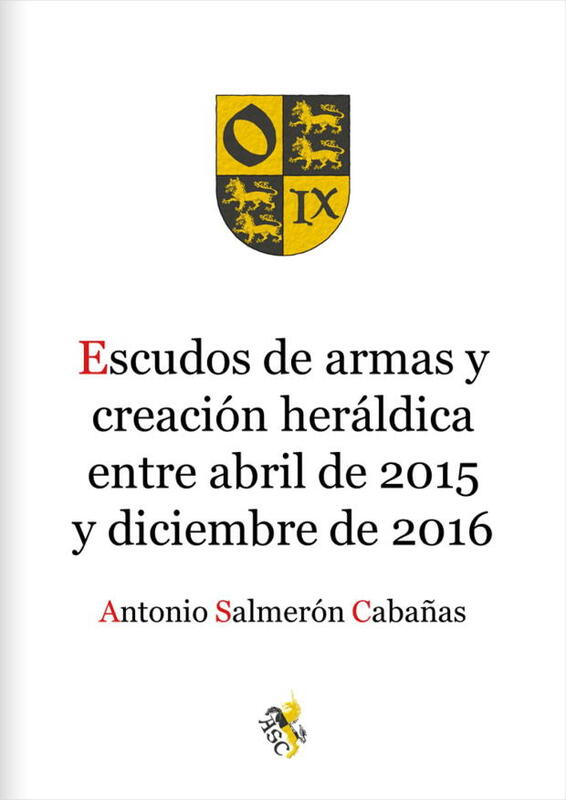 Antonio Salmerón Cabañas, «Coat of arms and heraldic creation between April 2015 and December 2016», paintings registered in the Intellectual Property Registry of Madrid, with 299 illustrations, 4 black and white and 295 colour, of coats of arms and other heraldic objects, 88 pages request code M-008058/2016, and registration number 16/2017/2707, Madrid, 15th of December of 2016. 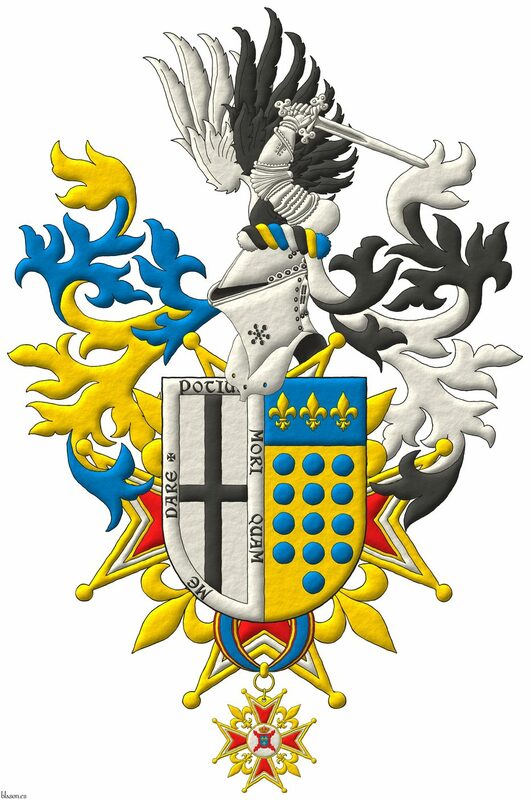 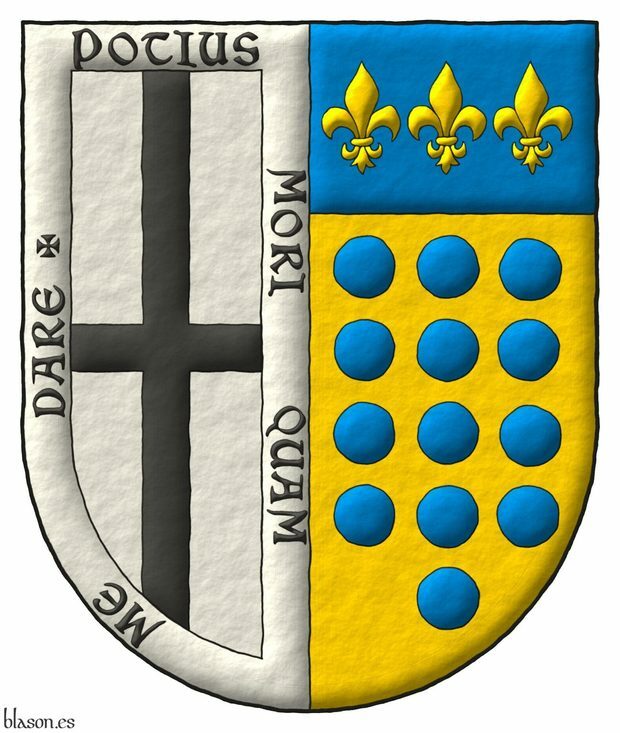 Blazon keywords: Party per pale, Argent, Cross, Sable, Bordure, Motto (motivation), Or, Thirteen, Hurt, Hurt, torteau, pellet, pomme and golpe, Azure, Three, In pale, Four, Five, Chief and Fleur de lis. 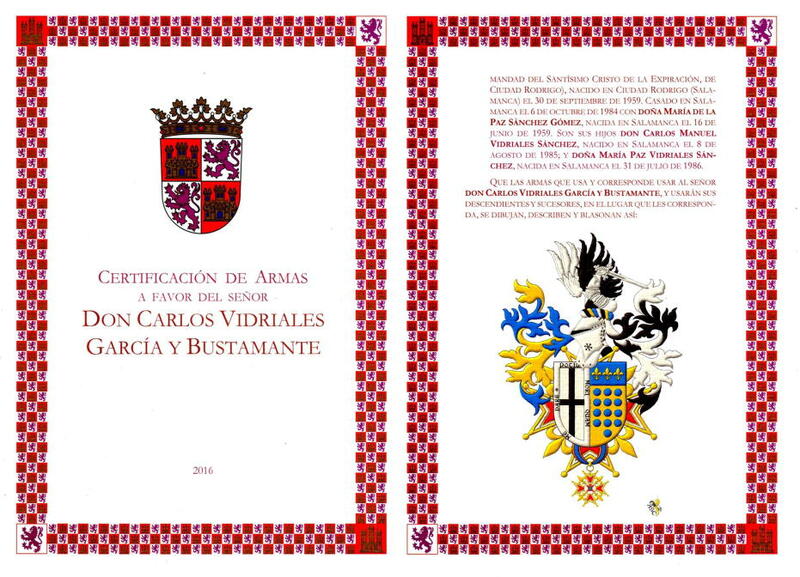 Sigue por: Carlos Vidriales, certification, pages 3 and 6. 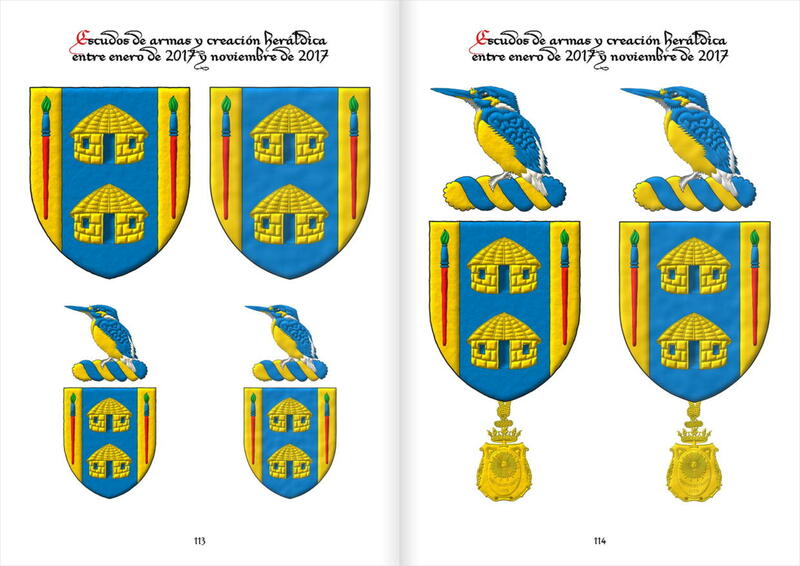 Accolé, Azure, Bibliography, Bordure, Arm, Wreath, Certification, Five, Decoration, Cross, Cross, Four, Outlined in sable, Dexter, Two, In pale, Coat of arms, Sword, Fleur de lis, Personal, Illuminated, Interpreted, Chief, Mantling, Motto (motivation), German language, Lineage, Manuscript, Semi-circular, Wing, Nascent, Or, Party per pale, Suspended, Argent, Intellectual property, Base, Hurt, torteau, pellet, pomme and golpe, Hurt, Sable, Century XVI, Century XVII, Century XXI, Sinister, Grasping, Freehand, Thirteen, Three and Vidriales García y Bustamante, Carlos.